Jim Lee is a fun guy to follow on Twitter. He loves doing sketches for fans. Some pros have stopped doing them at cons, because some guys just turn around and auction the sketch on eBay for a quick profit. Last Sunday, he hid a bunch of great sketches of DC Comics characters (Green Lantern, Batman, Catwoman, Superman, etc) at various places around the convention. He's left them in all kinds of places, including the women's restroom at C2E2 earlier this year. Usually people find these sketches within minutes of Jim's tweet. What a fun idea! 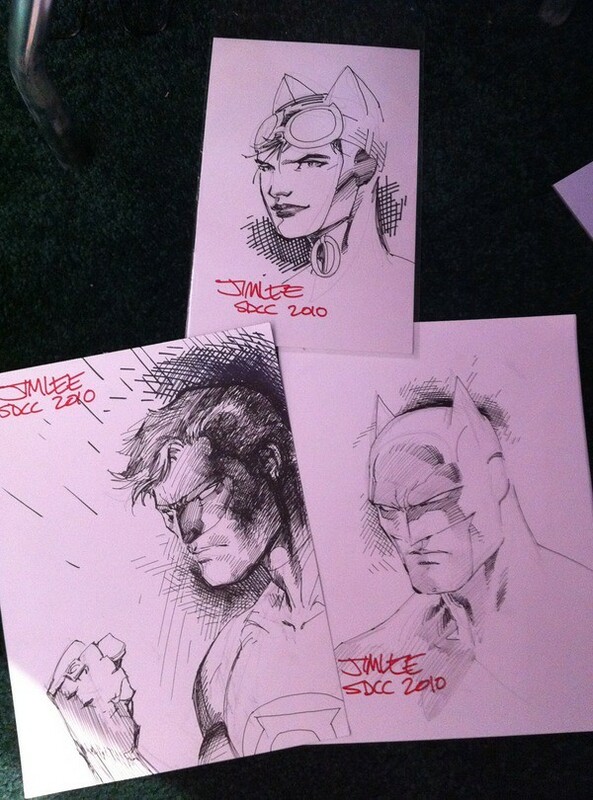 Note: Some of these scavenger hunt sketches were from the C2E2 con, where Lee played the same game. Batman. 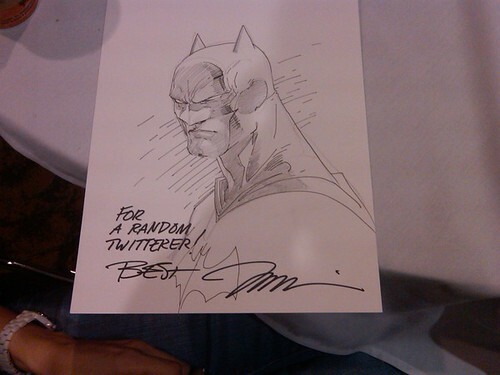 I am sure Jim Lee can draw Bats in his sleep. Classic. Flash. This is the one I wish I could have found. 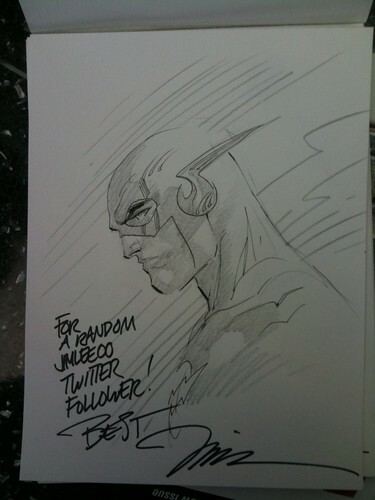 Definitely if I ever meet Jim Lee in person, and he's willing to do a sketch, I will ask for the Flash! Wonder Woman. 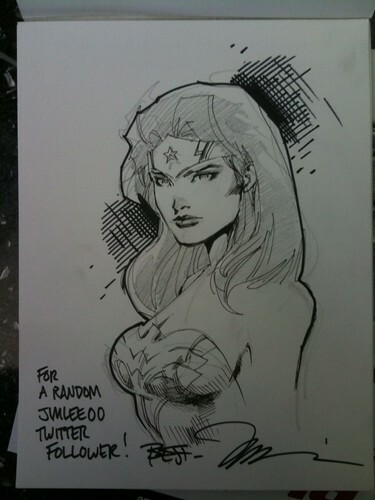 Jim Lee's wife @Joke2Far hid this one in a women's restroom. They asked the guys not to go in there, probably hoping a female fan would pick it up. Here are some of the lucky winners! The Wonder Woman winner is on the third pic, a cute couple who braved the restroom for the sketch. Nuff Said!